« Canadian’s New Food Guide Moving Away From Meat Consumption – Give it a try with us during Meat Free Week! “My name is Gemma (Filipino-Canadian). I have colorectal cancer, stage 3b with no symptoms before I got diagnosed. I am 55-year-old, single mom with three sons and one grandson and I am the first cancer patient in my family. Every cancer patient differs in terms of struggles because each of us have a different system where our body responds differently from the chemo drug and other drugs to make us well. I had suffered side effects that my oncologist calls rare, but I battle my disease with faith in God, faith in my doctors, medical team and faith in myself that I have lived to this day to share my story. I firmly believe that fighting cancer with positivity is the most powerful weapon to battle it. I was inspired and dedicated to volunteer as a fundraiser for Colon Cancer Canada now Colorectal Cancer Canada and I support the Wendy Bear Assistance Program which assist colorectal cancer patients with their financial needs. A legacy that I wish to be a part of Wendy Sittler’s goal to help those afflicted with this disease. 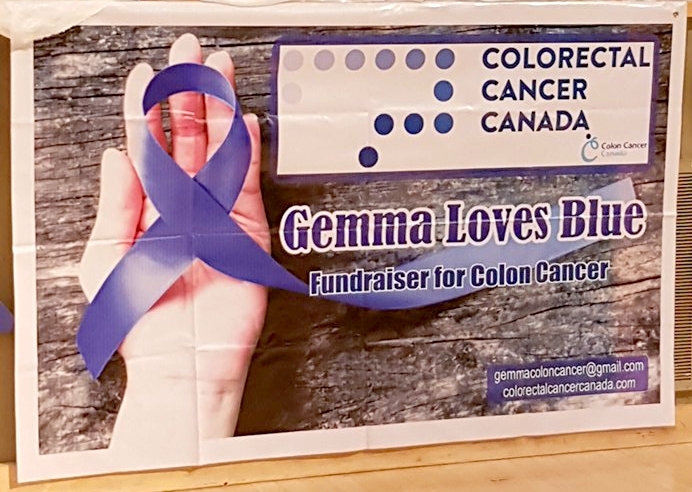 I call my campaign “Gemma Loves Blue”. To date I was blessed to raise $3,445.00 and it will continue to rise, as I find more people to support our cause. I believe in the importance of this program and I wanted to do more to help my fellow colorectal cancer patients. 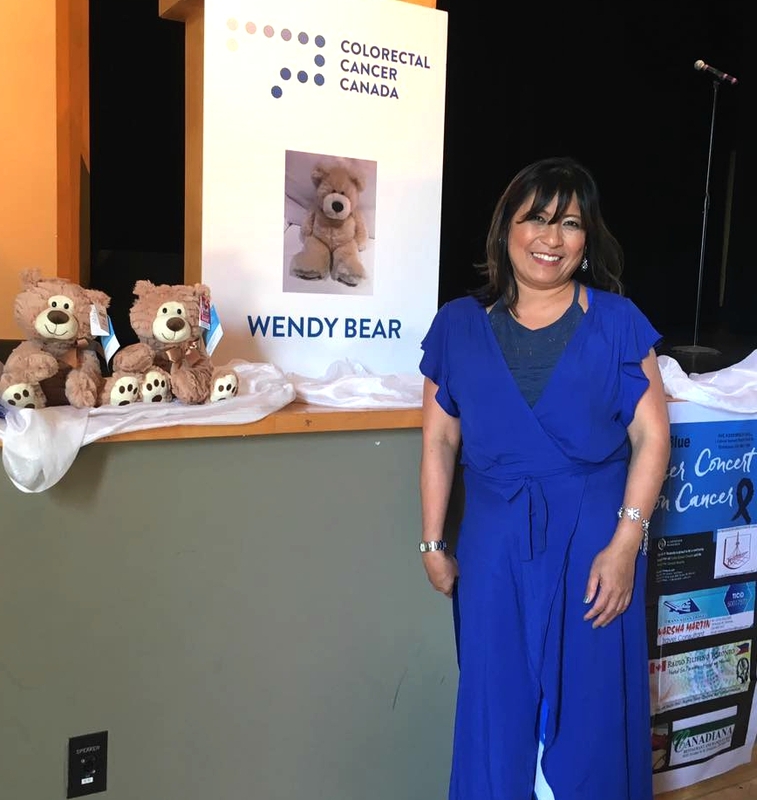 It has been a year that I am now a volunteer in spreading awareness and motivating a lot of people to support the Wendy Bears. The most uplifting part is I had the opportunity to reach out to colorectal cancer patients and we bonded in friendships in terms of comforting each other’s pains and suffering because of this disease. I believe that I am a living legacy to inspire others with the disease. Print article This entry was posted by Kristah Halton on 9 December 2017 at 12:55, and is filed under Uncategorized. Follow any responses to this post through RSS 2.0. You can skip to the end and leave a response. Pinging is currently not allowed.